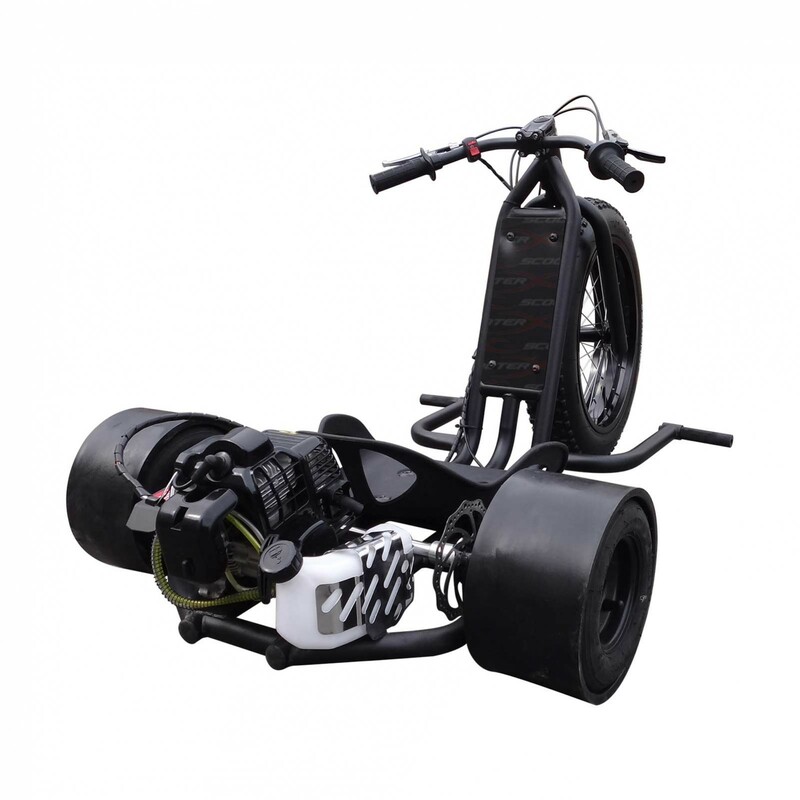 All new 49cc 30mph ScooterX Drift Master is here! 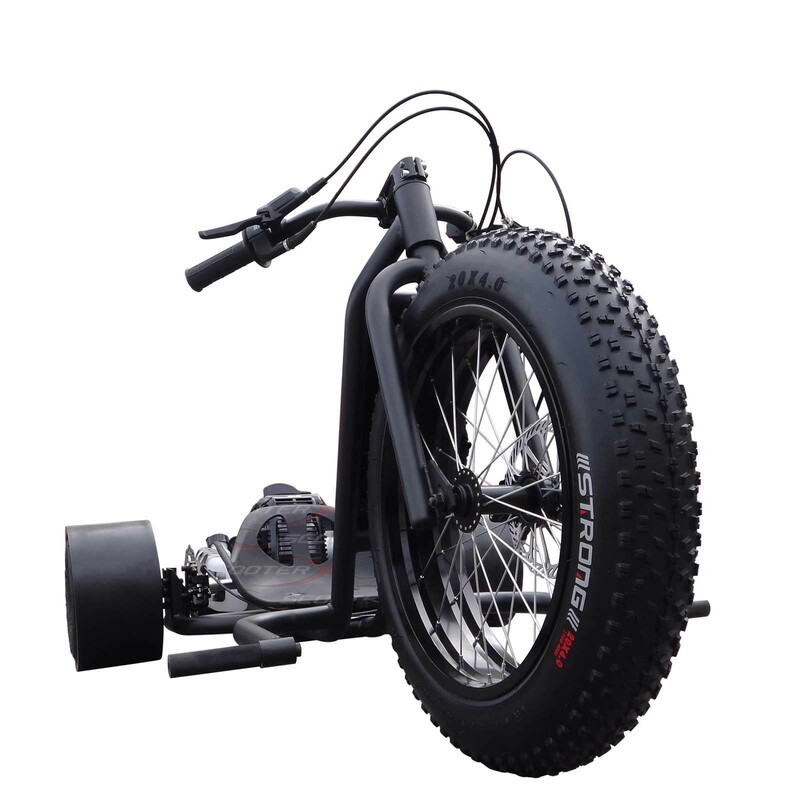 Ever wondered what it would be like riding a big wheel with a huge shot of nitrous? 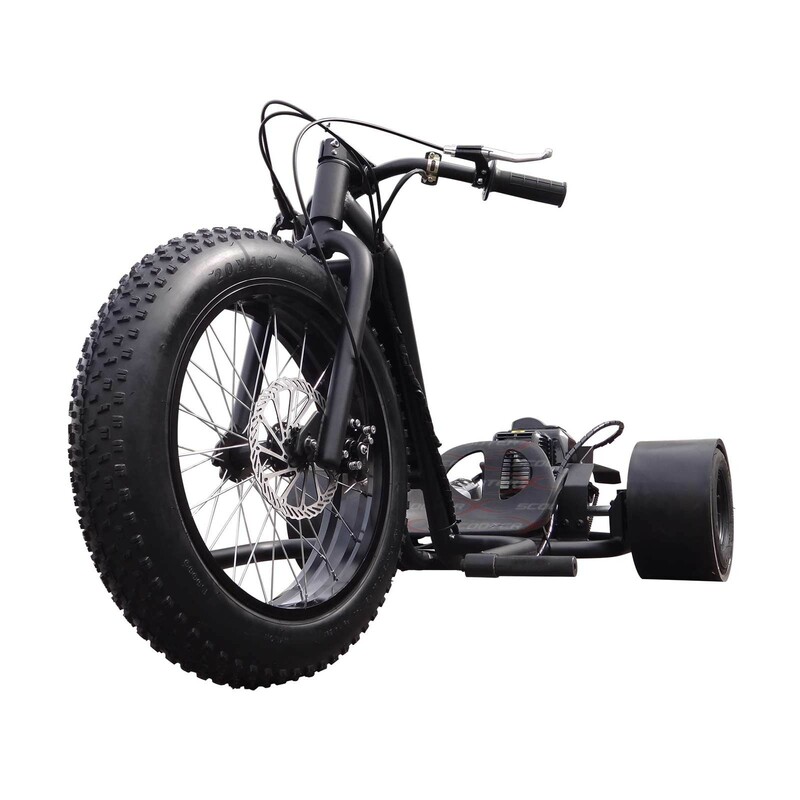 This new drift trike is just that and it is seriously fun. 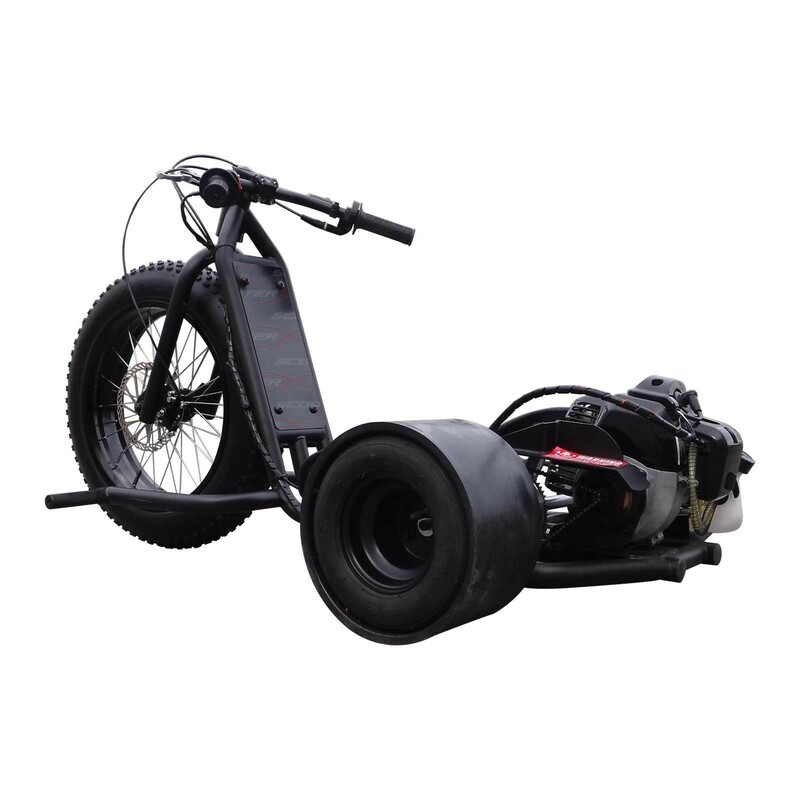 The ScooterX Drift Master Drift Trike is here! 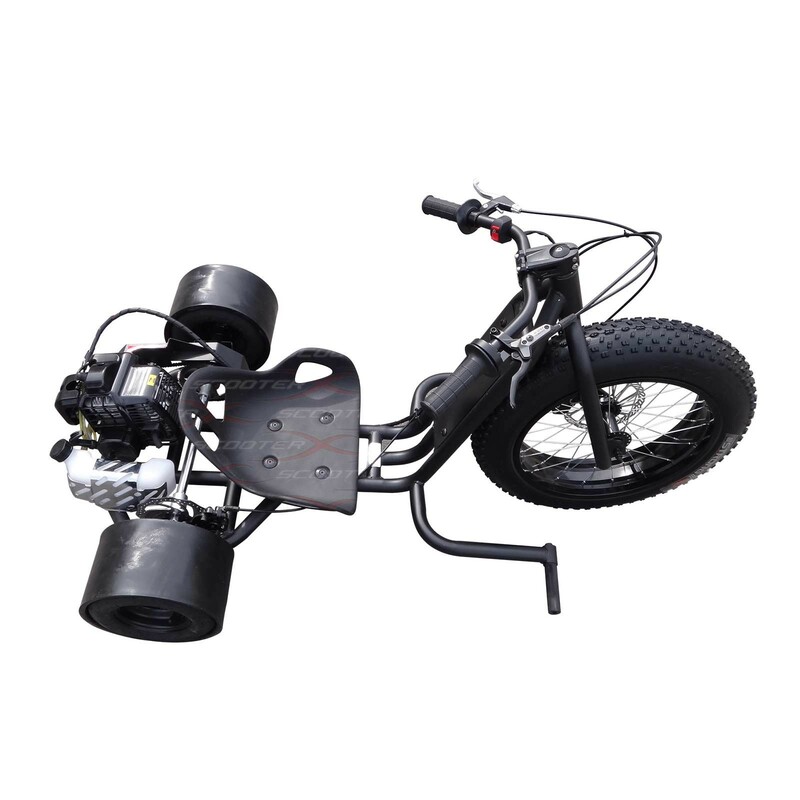 Out of the box our 49cc Drift Master with it's heavy duty tubular steel chassis means it's strong, durable and made to handle those sharp neighborhood corners or drifts around the track at speeds up to 30mph! 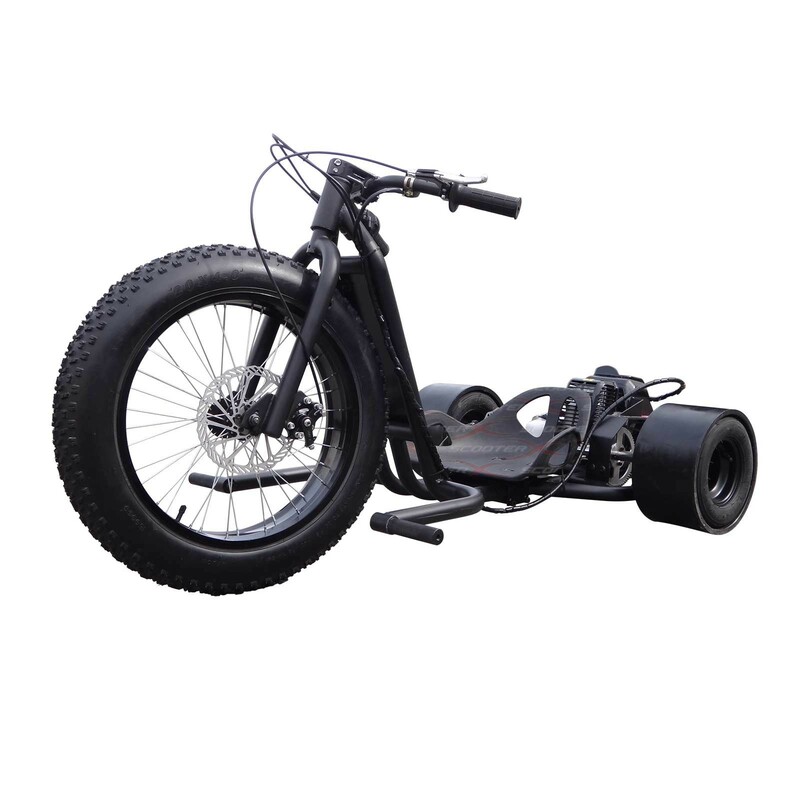 Spins and slides are easy with chopper style handlebars and rubber grips that let you control the 22" tall front tire and PVC sleeved rear tires. 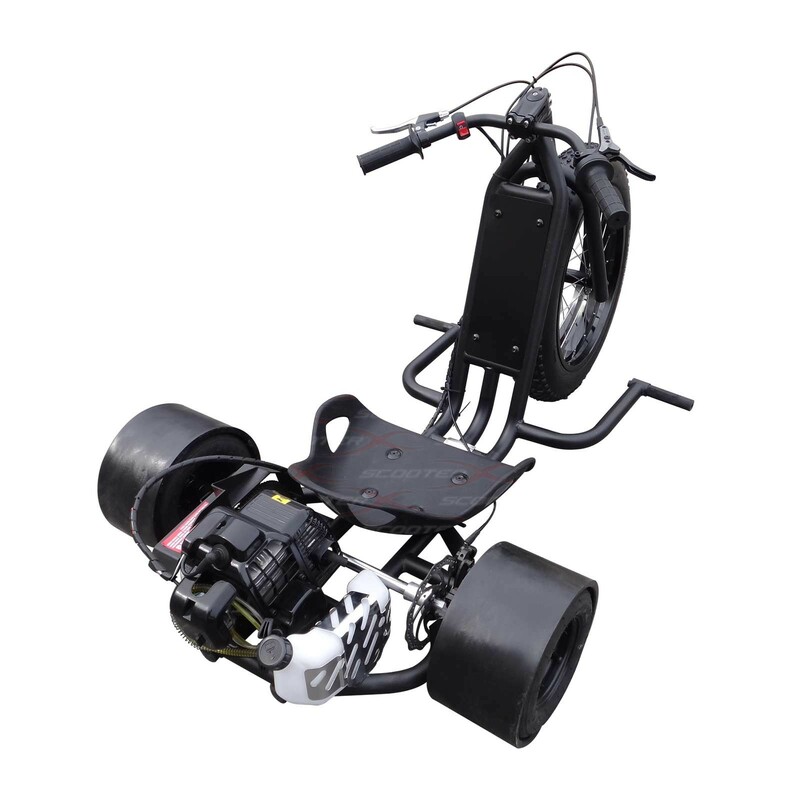 Equipped with front and rear disc brakes for ultimate modulation and control. 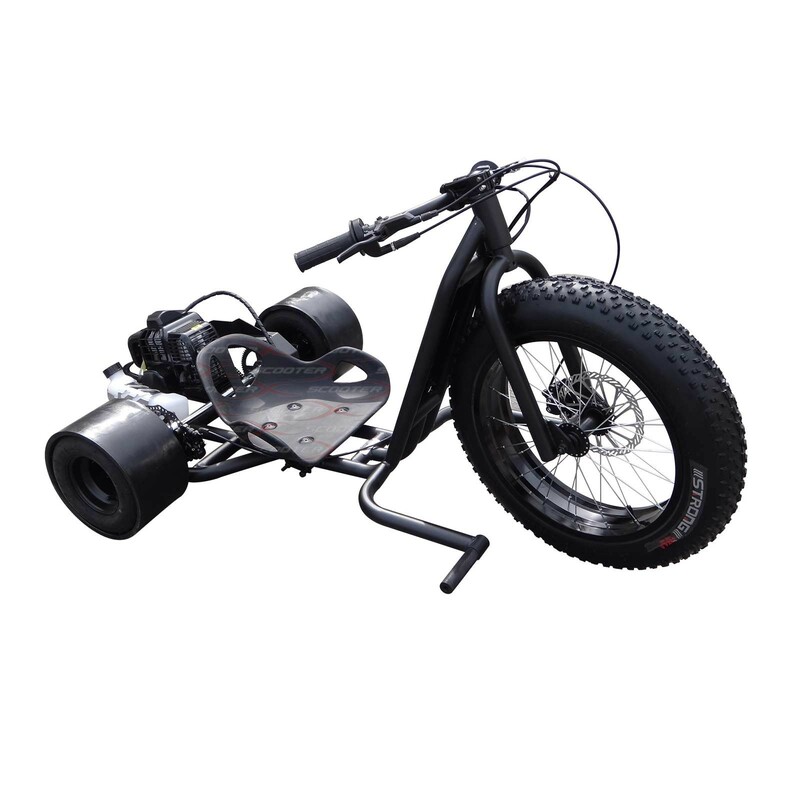 The ScooterX Gas Powered Drift Master brings all the excitement of big wheel drift action with a huge shot of nitrous... so get yours now! Some assembly is required. 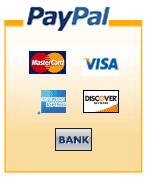 - Speeds up to 30mph! 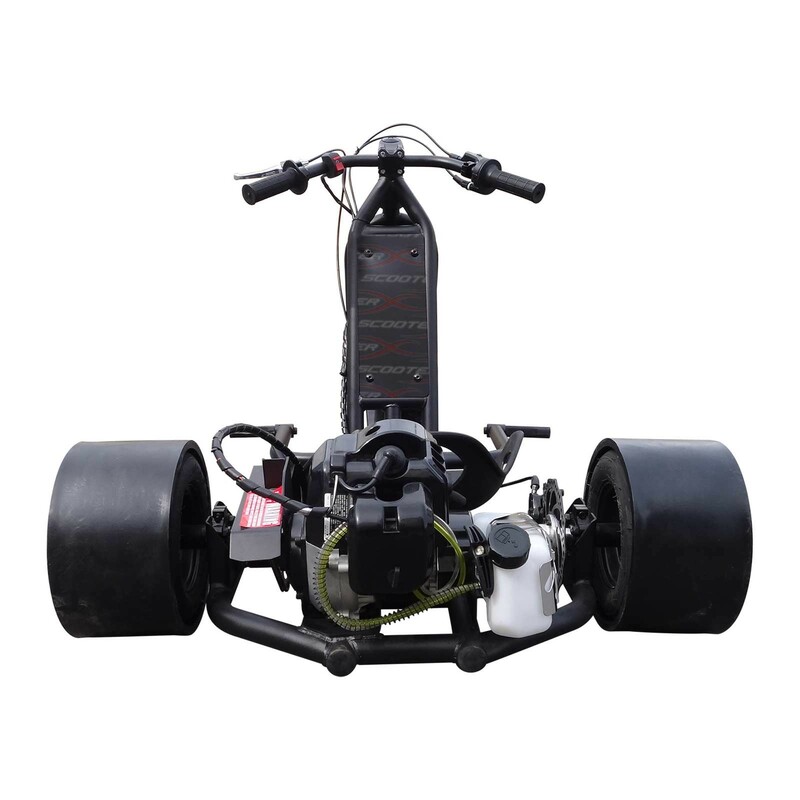 - Fully upgradeable for more power: exhaust, intake, high compression head and more!